AC72s had different 'personalities' driven by each design team. 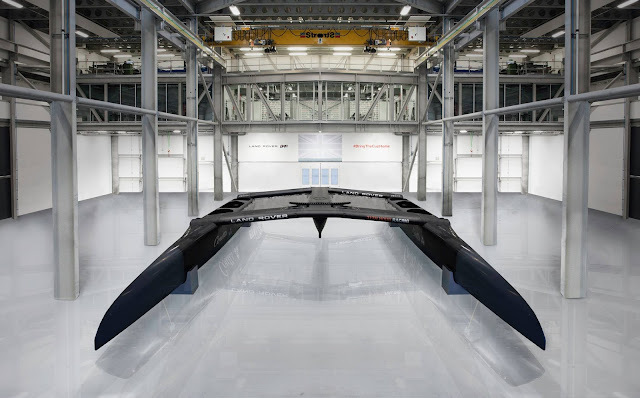 But for this AC edition all the platforms Edit: will be the same exact shape as the Wings exterior shape and cross structure data, all one design. Correction data courtesy of Pete Melvin. --. I didn´t realized that the AC50 were actually OD, and not pseudo box rule restricted. The BAR 'R1' seems IS a clone of Oracle AC50 model we once published (photo left). 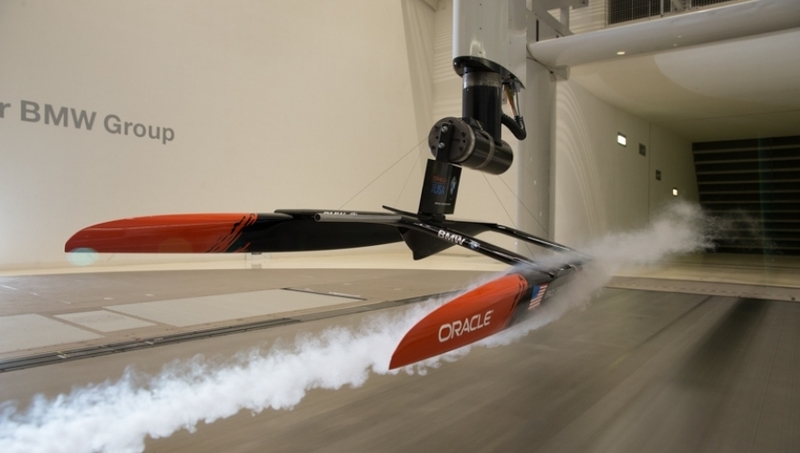 So no chance for any design surprise a la Team France and their stick to their AC45 Turbo modified bow with rails. Boat looks photo and structure / scene is rendered.